Natural Resources are an important component of the regional economy in western Kentucky and Tennessee that comprise the Riverlands region. 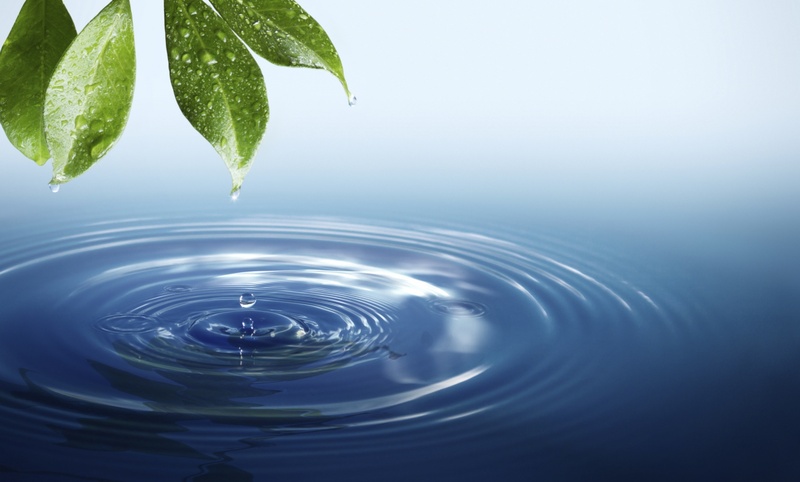 There is a growing interest in building regional capacity to address the challenges faced by communities for the sustainability of natural resources. Extension specialists and agents from Kentucky and Tennessee facilitated a workshop to engage stakeholders with a goal of identifying and prioritizing projects that support outdoor recreation, sustainable resource use, and a high quality of life, while promoting the heritage of the Riverlands region. 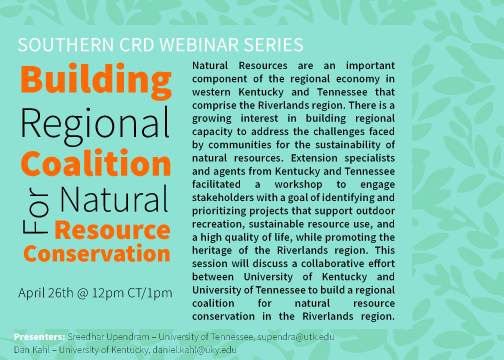 This session will discuss a collaborative effort between University of Kentucky and University of Tennessee to build a regional coalition for natural resource conservation in the Riverlands region. Agriculture has long been the most important part of Georgia’s economy with a Farm Gate Value of over $13.8 Billion. There is a growing interest in niche crops and value added products with the number of small to mid-size farms increasing. 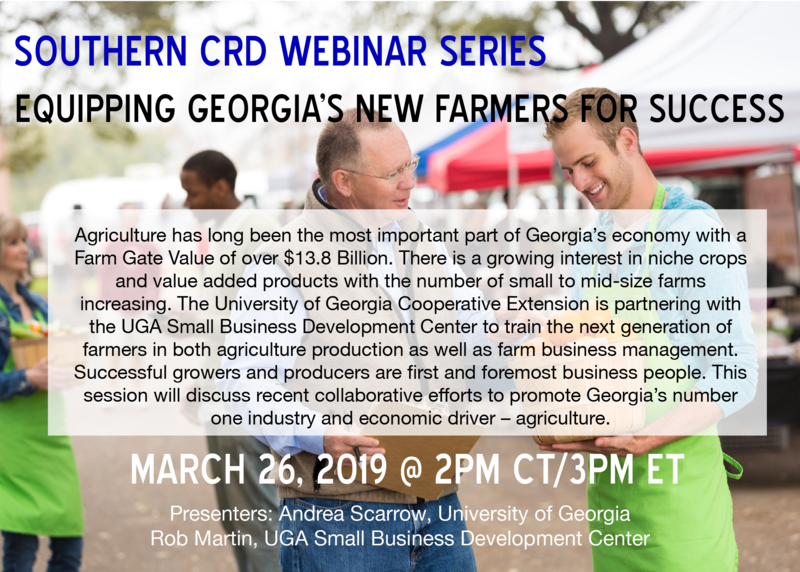 The University of Georgia Cooperative Extension is partnering with the UGA Small Business Development Center to train the next generation of farmers in both agriculture production as well as farm business management. 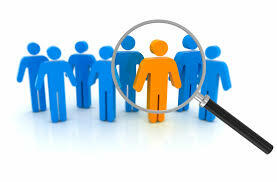 Successful growers and producers are first and foremost business people. This session will discuss recent collaborative efforts to promote Georgia’s number one industry and economic driver – agriculture. 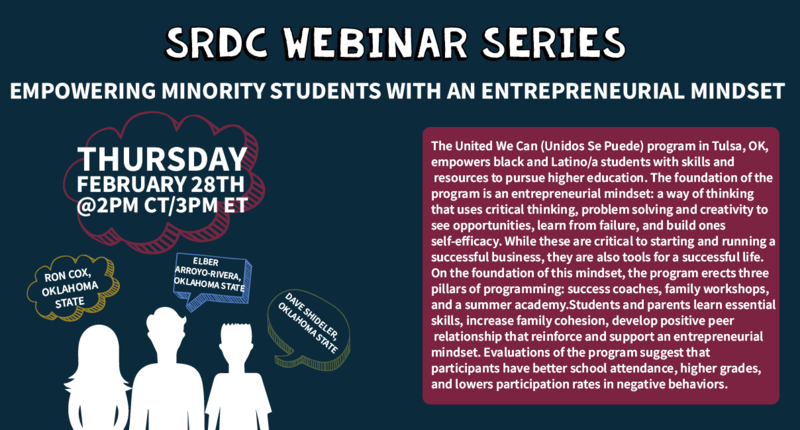 The United We Can (Unidos Se Puede) program in Tulsa, OK, empowers black and Latino/a students with skills and resources to pursue higher education. 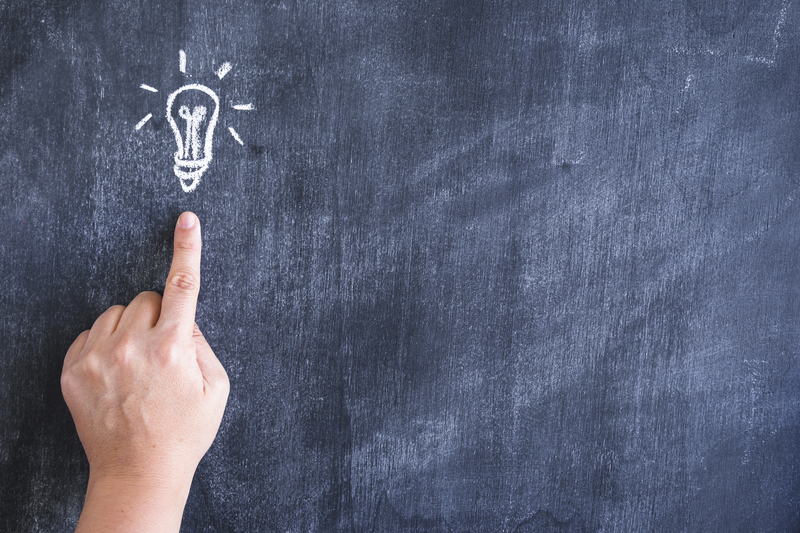 The foundation of the program is an entrepreneurial mindset: a way of thinking that uses critical thinking, problem solving and creativity to see opportunities, learn from failure, and build ones self-efficacy. While these are critical to starting and running a successful business, they are also tools for a successful life. On the foundation of this mindset, the program erects three pillars of programming: success coaches, family workshops, and a summer academy. 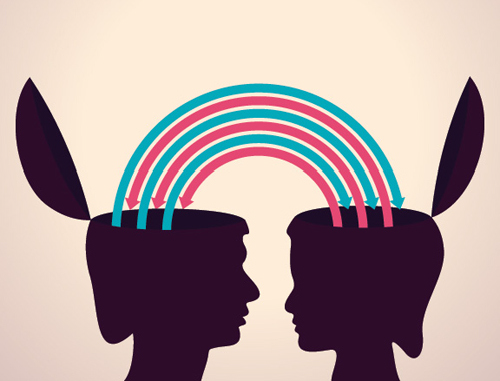 Students and parents learn essential skills, increase family cohesion, develop positive peer relationship that reinforce and support an entrepreneurial mindset. 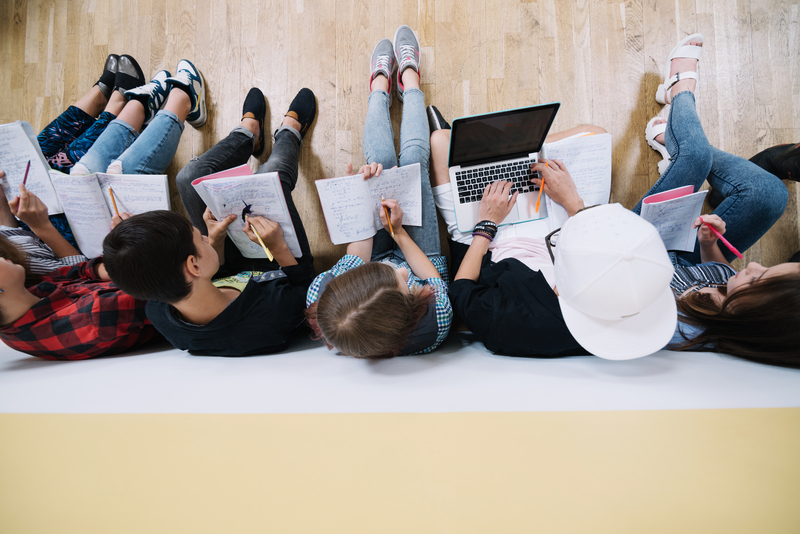 Evaluations of the program suggest that participants have better school attendance, higher grades, and lower participation rates in negative behaviors. 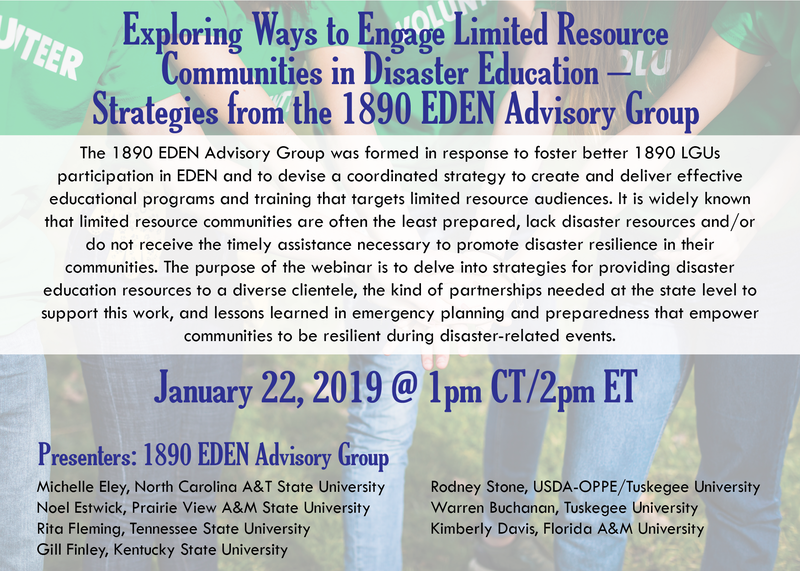 The 1890 EDEN Advisory Group was formed in response to foster better 1890 LGUs participation in EDEN and to devise a coordinated strategy to create and deliver effective educational programs and training that targets limited resource audiences. 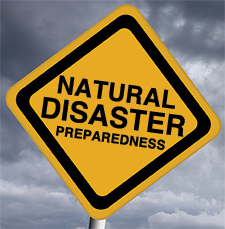 It is widely known that limited resource communities are often the least prepared, lack disaster resources and/or do not receive the timely assistance necessary to promote disaster resilience in their communities. 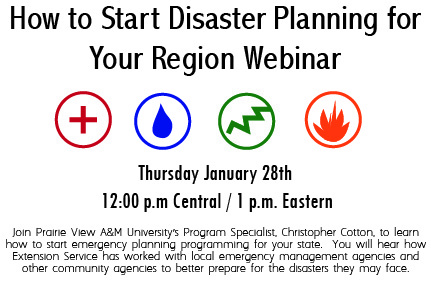 The purpose of the webinar is to delve into strategies for providing disaster education resources to a diverse clientele, the kind of partnerships needed at the state level to support this work, and lessons learned in emergency planning and preparedness that empower communities to be resilient during disaster-related events. 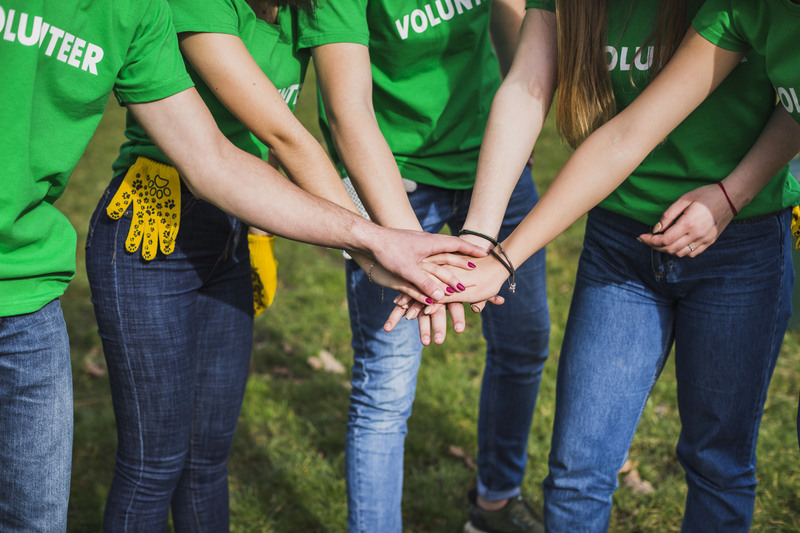 As Extension Specialist our engagement with reputable partners will allow us to broaden the impact in the communities we serve and increase our volunteer base. 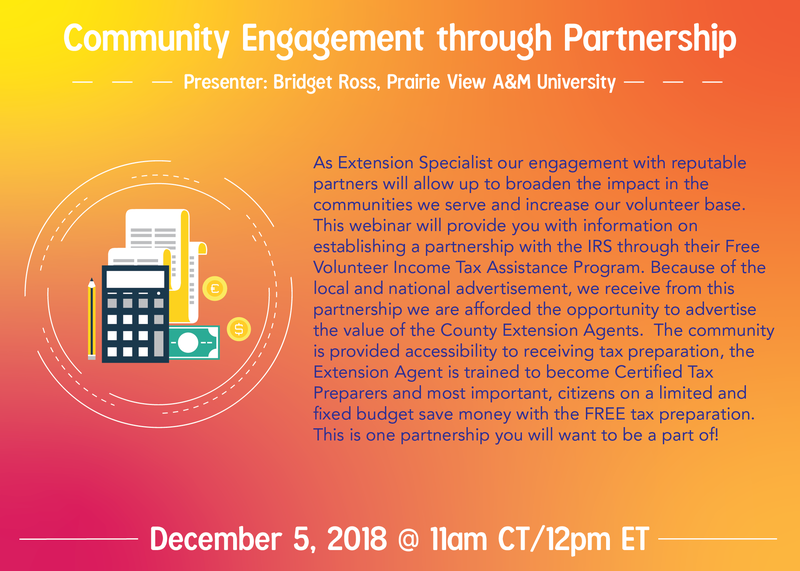 This webinar will provide you with information on establishing a partnership with the IRS through their Free Volunteer Income Tax Assistance Program. Because of the local and national advertisement, we receive from this partnership we are afforded the opportunity to advertise the value of the County Extension Agents. 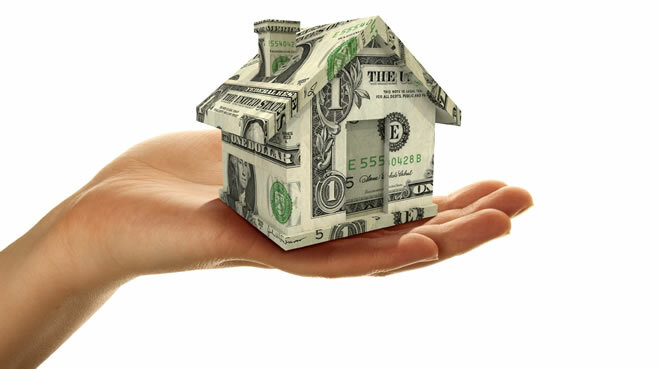 The community is provided accessibility to receiving tax preparation, the Extension Agent is trained to become Certified Tax Preparers and most important, citizens on a limited and fixed budget save money with the FREE tax preparation. This is one partnership you will want to be a part of! 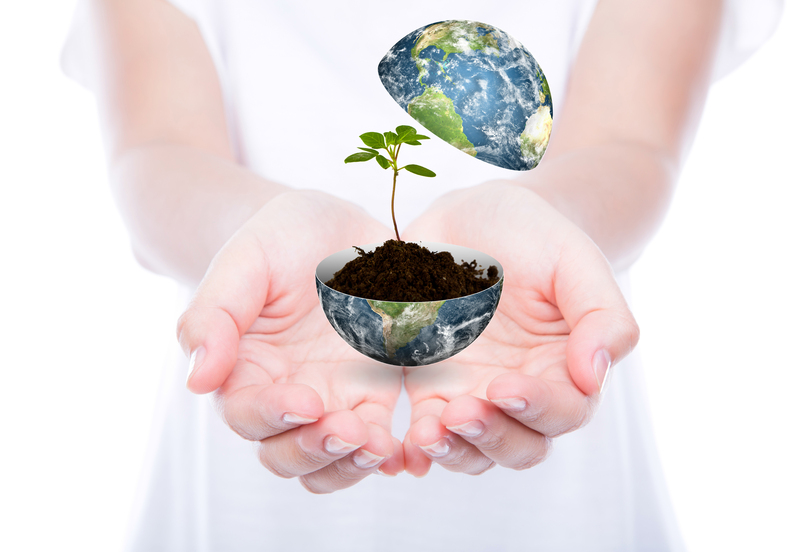 Does Extension Need Highly Visible Educational Programs Beyond the Farm, Families and Youth? 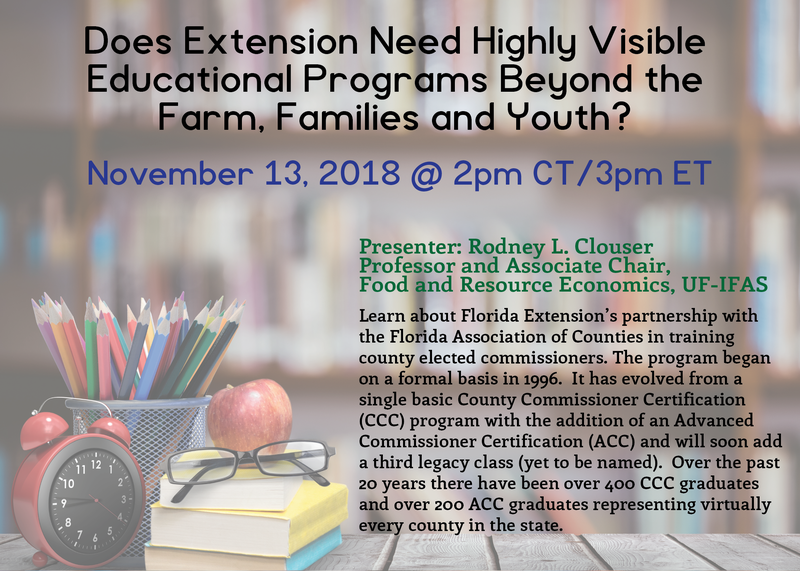 Learn about Florida Extension’s partnership with the Florida Association of Counties in training county elected commissioners. 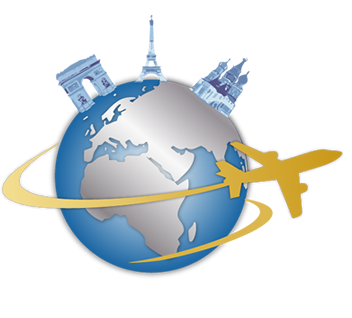 The program began on a formal basis in 1996. It has evolved from a single basic County Commissioner Certification (CCC) program with the addition of an Advanced Commissioner Certification (ACC) and will soon add a third legacy class (yet to be named). Over the past 20 years there have been over 400 CCC graduates and over 200 ACC graduates representing virtually every county in the state. 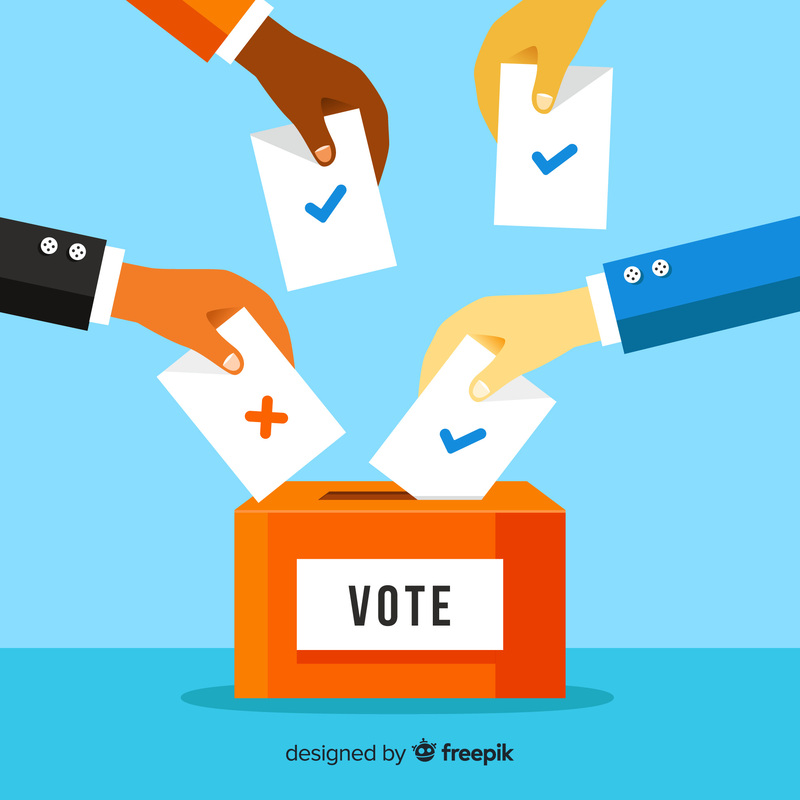 Even without commercials, mailers and social media noise, voters can have a difficult time understanding the implications of proposed laws and policy changes they're asked to vote on Election Day. 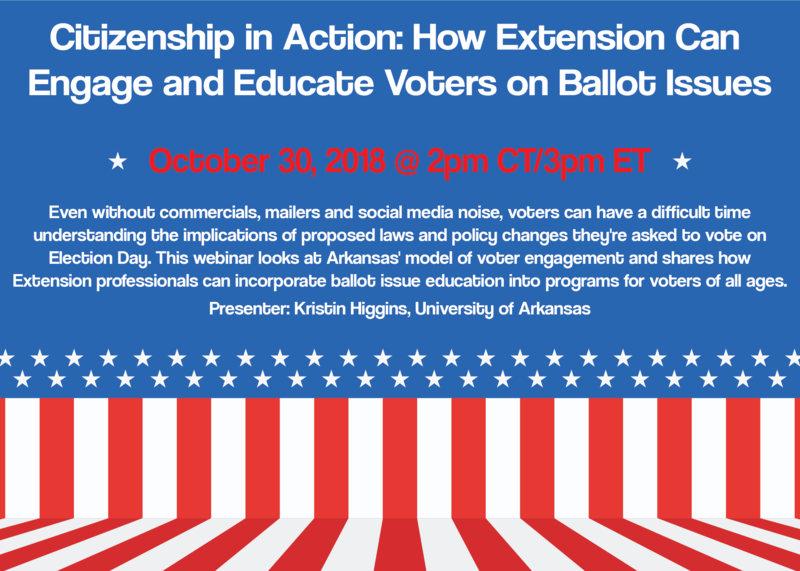 This webinar looks at Arkansas' model of voter engagement and shares how Extension professionals can incorporate ballot issue education into programs for voters of all ages. 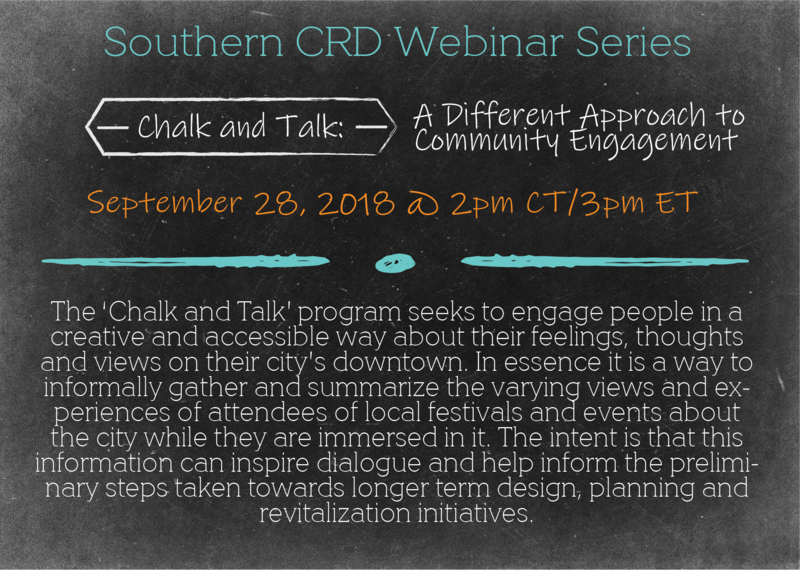 The ‘Chalk and Talk’ program seeks to engage people in a creative and accessible way about their feelings, thoughts and views on their city’s downtown. In essence it is a way to informally gather and summarize the varying views and experiences of attendees of local festivals and events about the city while they are immersed in it. The intent is that this information can inspire dialogue and help inform the preliminary steps taken towards longer term design, planning and revitalization initiatives. 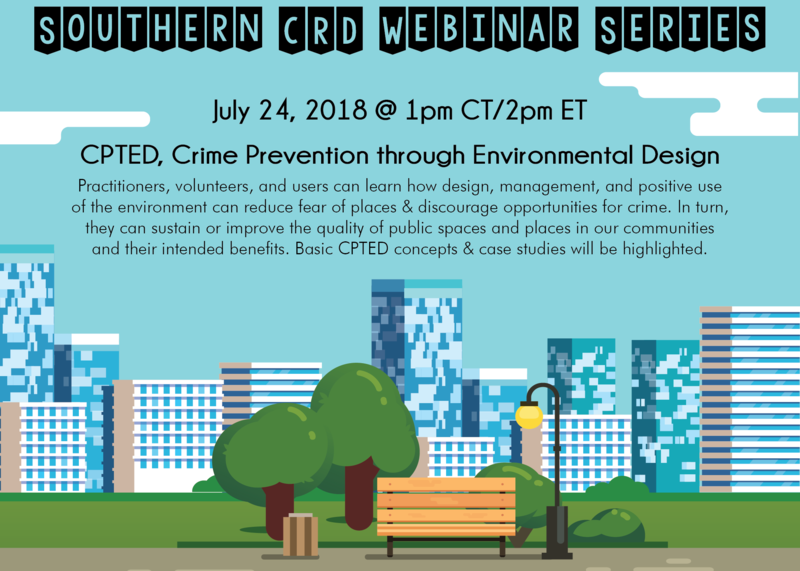 Practitioners, volunteers, and users can learn how design, management, and positive use of the environment can reduce fear of places & discourage opportunities for crime. In turn, they can sustain or improve the quality of public spaces and places in our communities and their intended benefits. 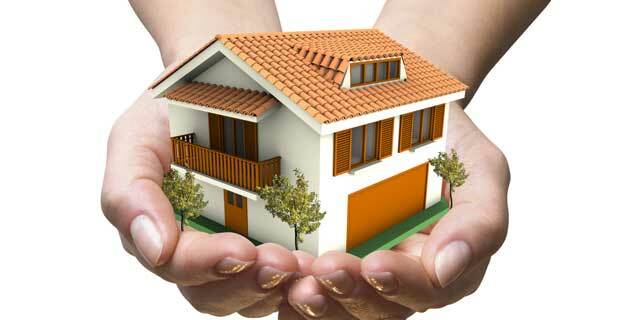 Basic CPTED concepts & case studies will be highlighted. 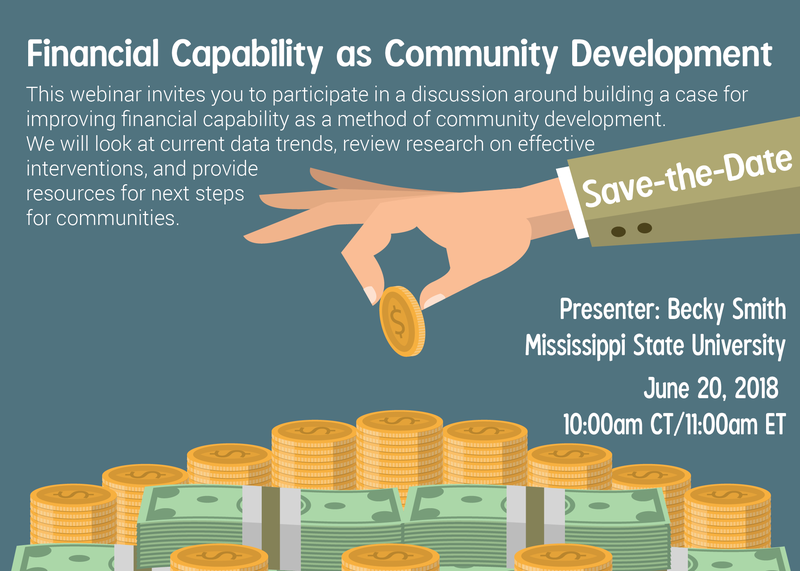 This webinar invites you to participate in a discussion around building a case for improving financial capability as a method of community development. We will look at current data trends, review research on effective interventions, and provide resources for next steps for communities. 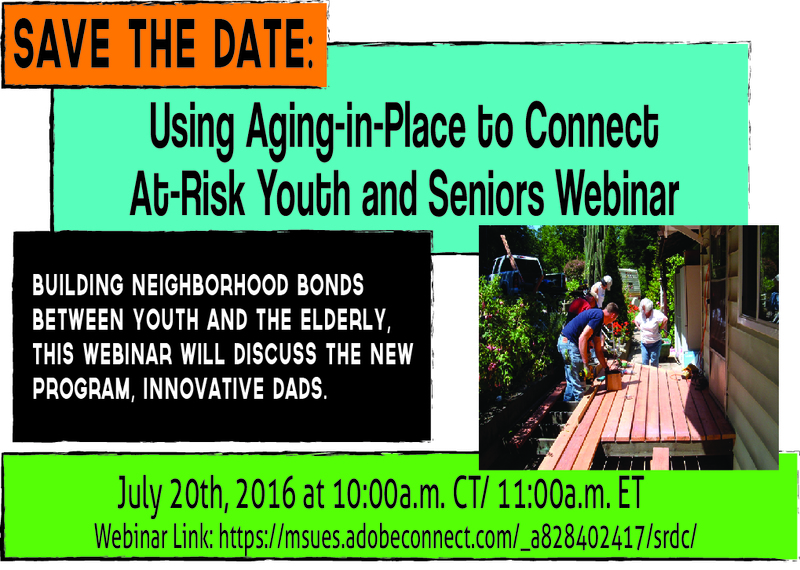 How do Extension agents engage stakeholders in significant roles to address community health? 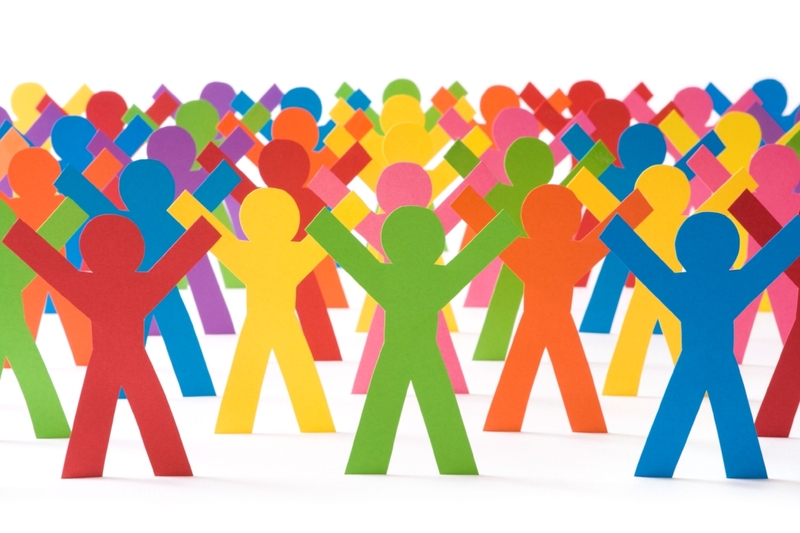 What are the challenges and benefits of community based participatory research focused on healthy communities? 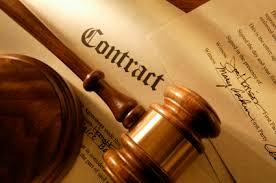 What do county agents gain from involving stakeholders to achieve policy, systems and environmental changes? 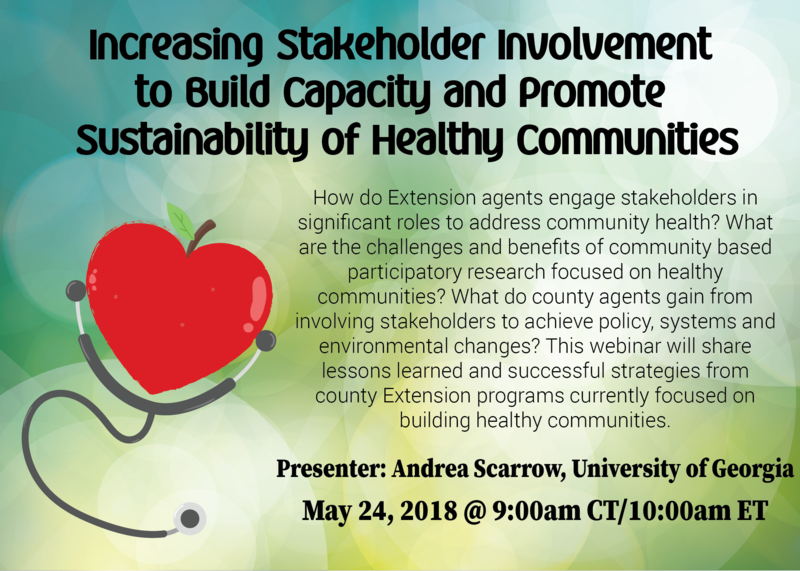 This webinar will share lessons learned and successful strategies from county Extension programs currently focused on building healthy communities. 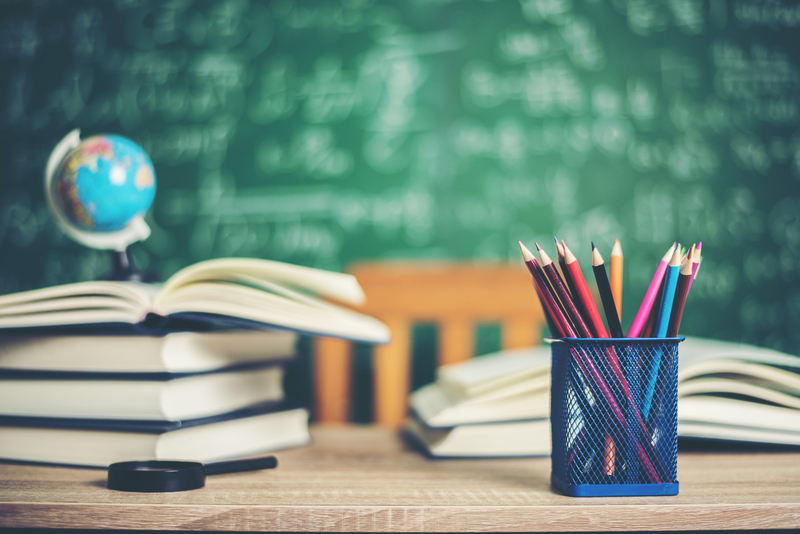 As Extension professionals, we are called to promote and support the leadership necessary for a wide variety of education programs. There is no shortage of books on leadership, but it can be difficult to discern the practical guidance appropriate for the context and stakeholders of Extension. 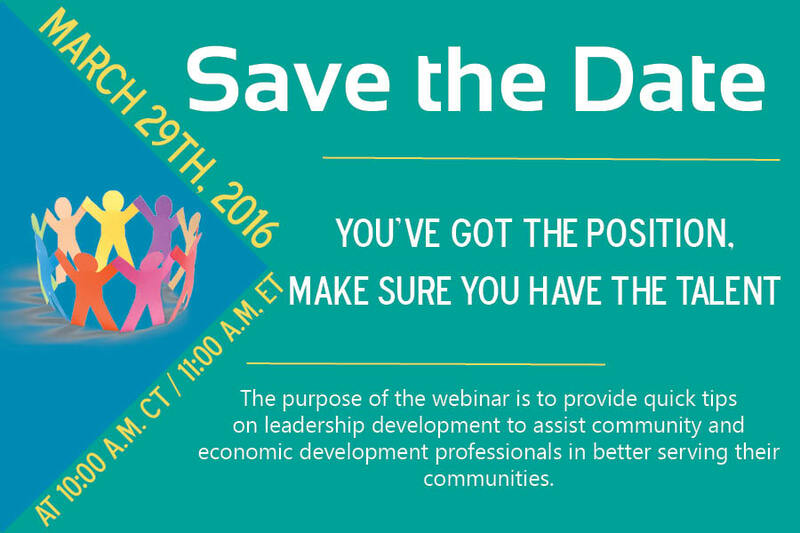 Within this webinar, we will revisit conventional leadership concepts and frame them in light of new insights. 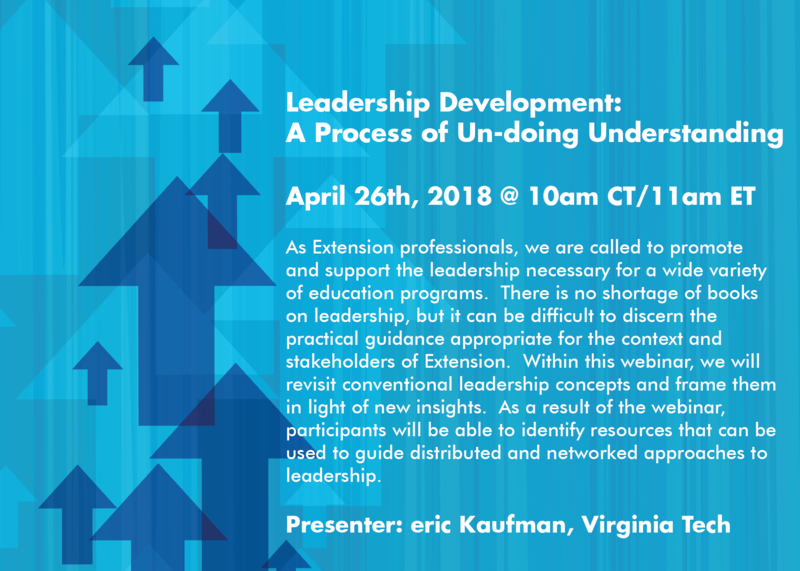 As a result of the webinar, participants will be able to identify resources that can be used to guide distributed and networked approaches to leadership. 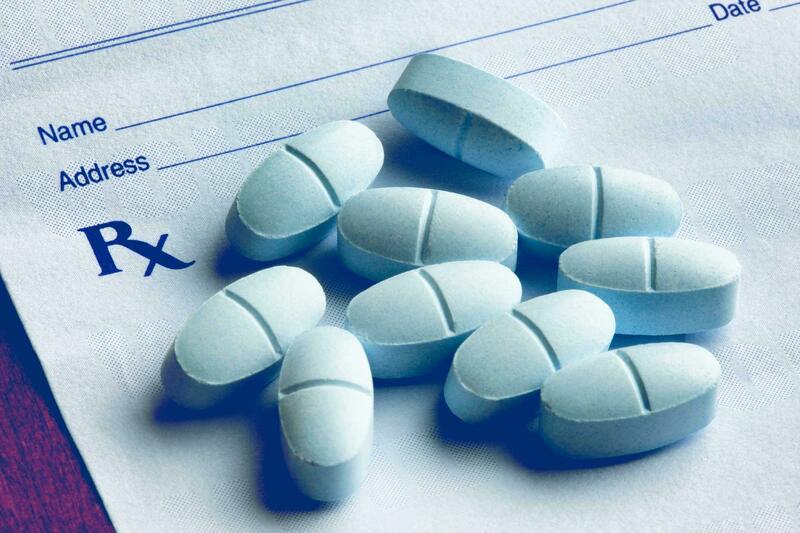 This session will provide an overview of the opioid epidemic, inform participants of current strategies being implemented to address it, and explore additional opportunities to effect change from an Extension perspective. 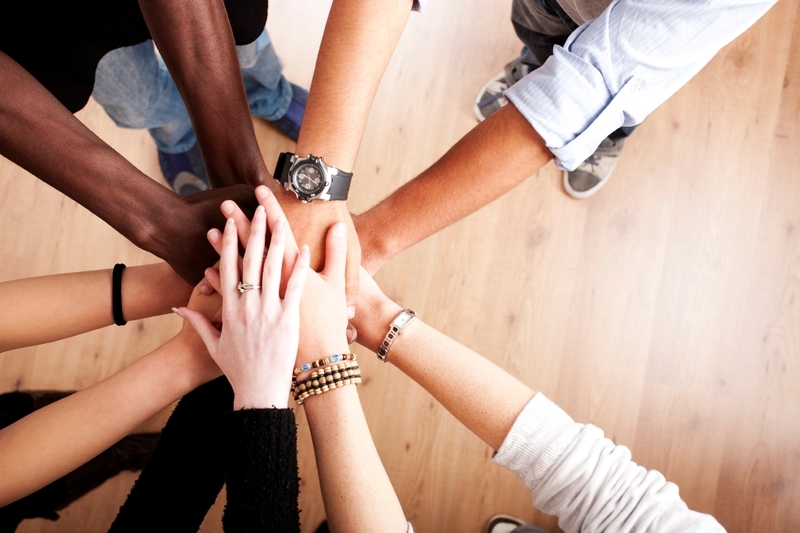 In a time of divisiveness in our nation, it is even more important for our communities to be able to have a sense of community – for people to live in a place where they feel they belong, where they can engage and contribute, and in return feel respected and valued. 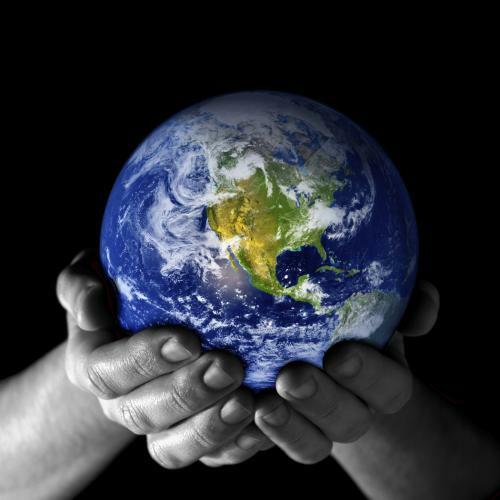 This is also essential for a community to operate at the speed of trust, able to respond to crises and opportunities that require action within a short time frame, and to foster development that is sustainable over the long term. 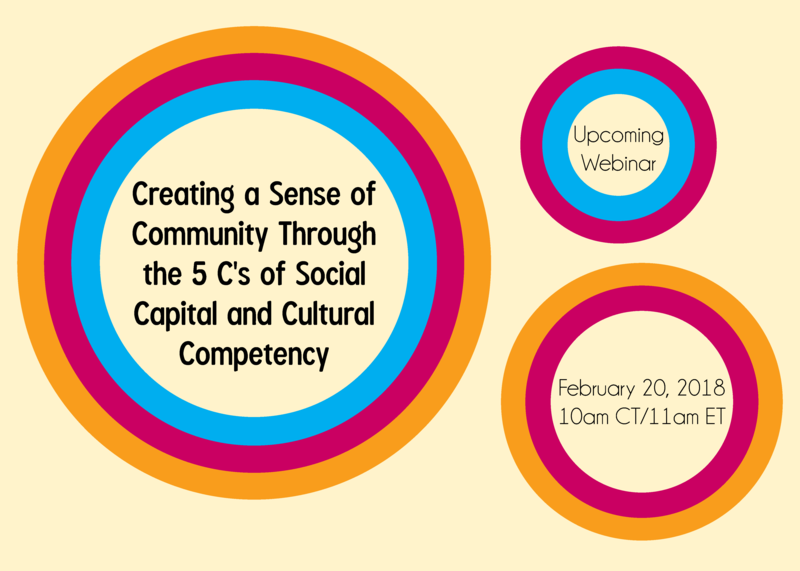 This webinar will explore five elements of social capital through this lens, plus scenarios that portray cultural competency at its worst and best. You won’t want to miss it! 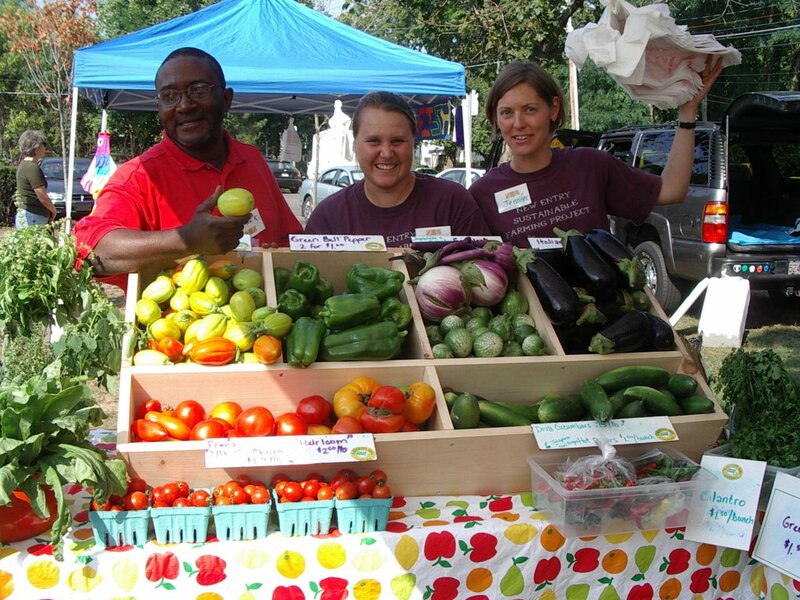 Cooperative Extension has a mandate to assess community needs and assist with community issues, but how agents engage with communities will vary by topic, need and situation. 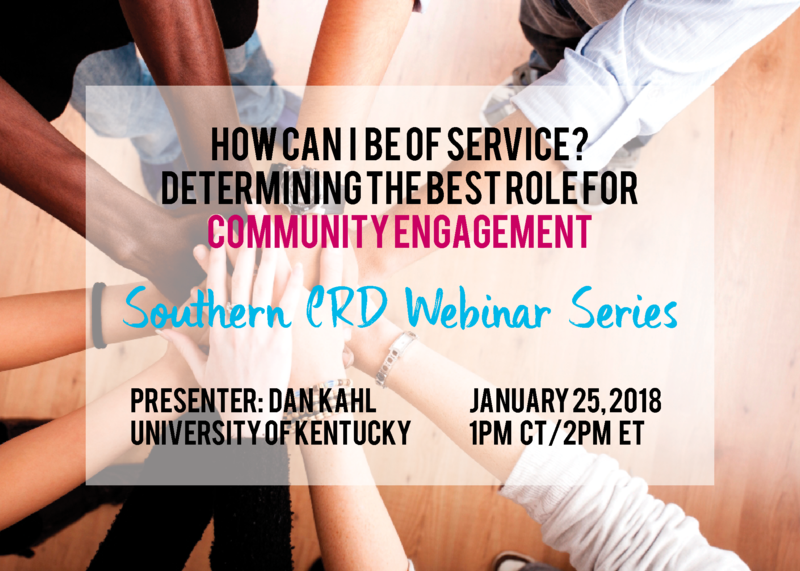 This webinar is an interactive session that will explore different roles agents might fill as they work for community change. 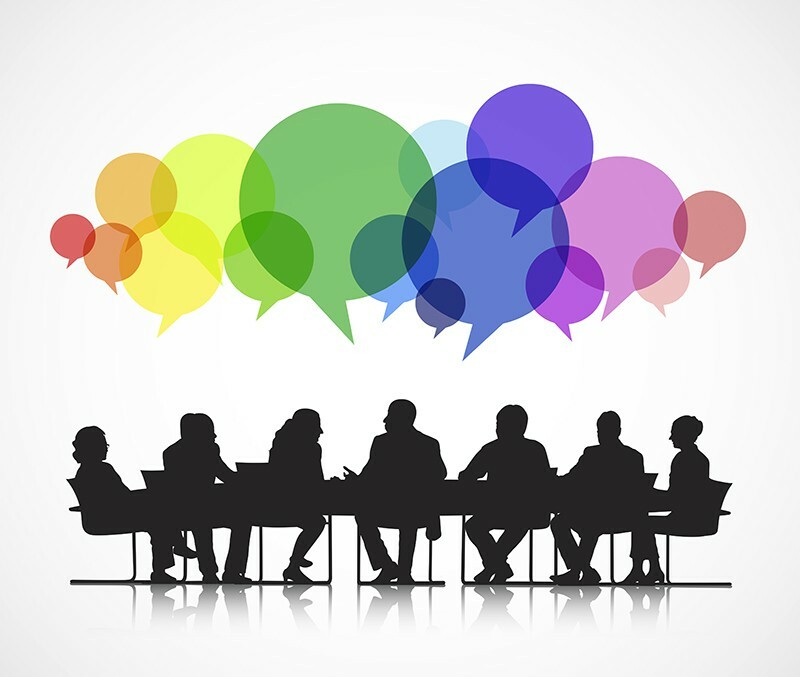 We will discuss the different roles Extension can serve when creating community change including: informing, being a catalyst for change, innovating change; or orchestrating change – and when and how these roles may change. 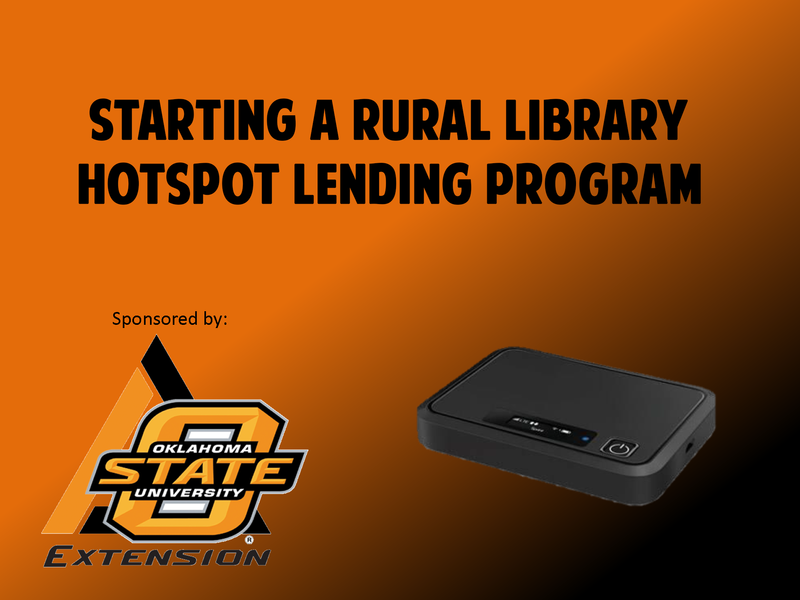 Libraries across the country are beginning to implement hotspot lending programs in an effort to bridge the digital divide in their communities. These programs loan out “hotspots” to library patrons for 1 week or more, allowing individuals without a connection to access the Internet from their own homes. 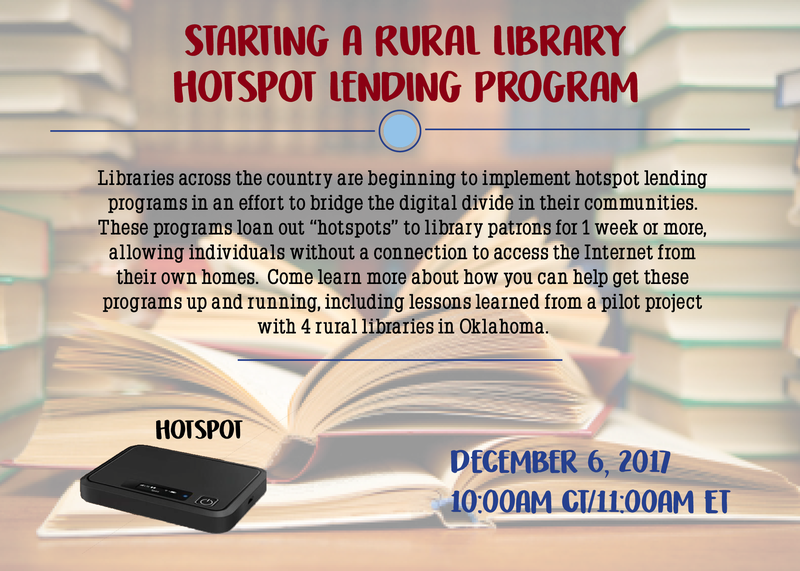 Come learn more about how you can help get these programs up and running, including lessons learned from a pilot project with 4 rural libraries in Oklahoma. 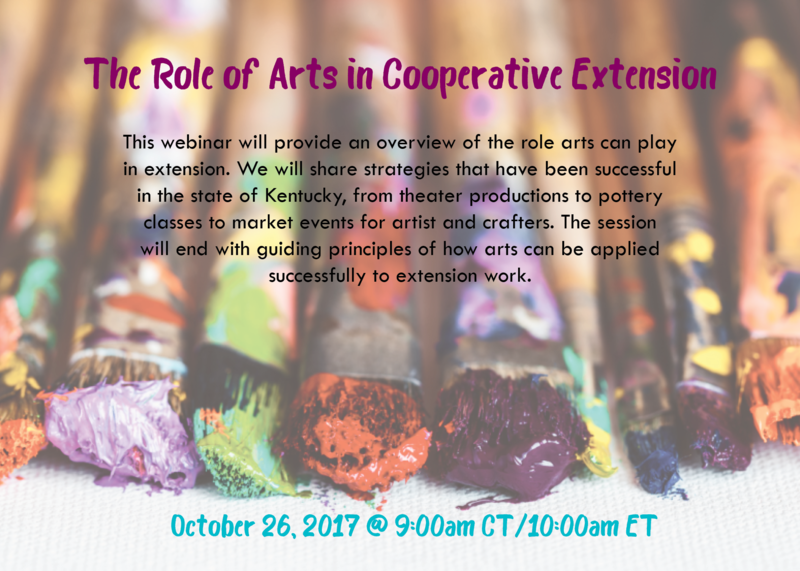 This webinar will provide an overview of the role arts can play in extension. 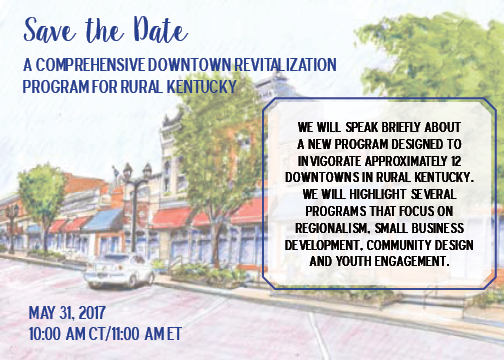 We will share strategies that have been successful in the state of Kentucky, from theater productions to pottery classes to market events for artist and crafters. 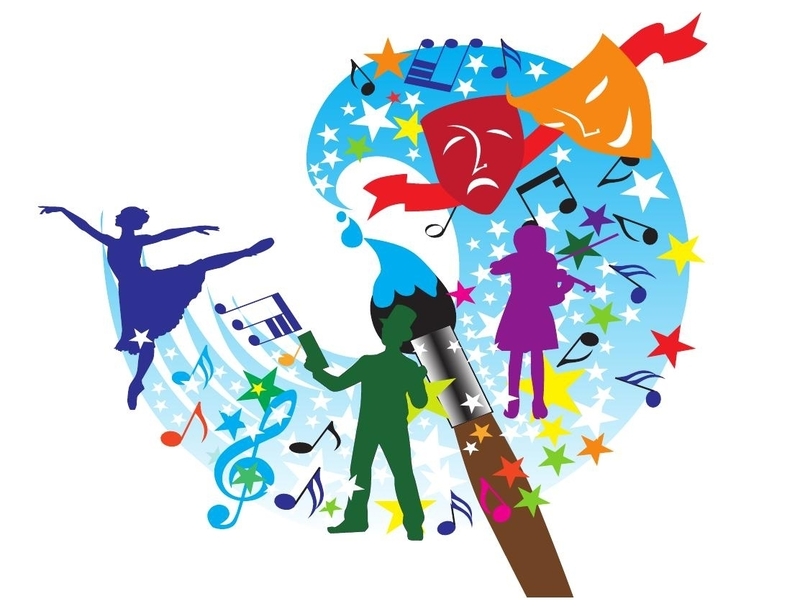 The session will end with guiding principles of how arts can be applied successfully to extension work. Becky Bowen, a community development specialist at NC State Cooperative Extension, is an attorney licensed in North Carolina, North Dakota, and Minnesota. 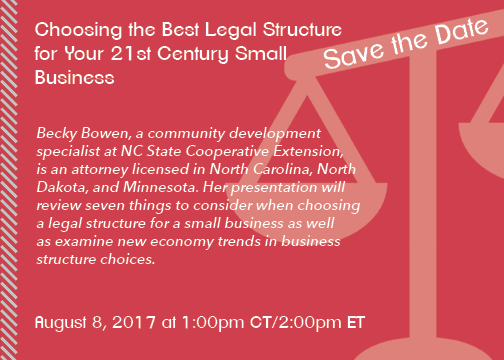 Her presentation will review seven things to consider when choosing a legal structure for a small business as well as examine new economy trends in business structure choices. 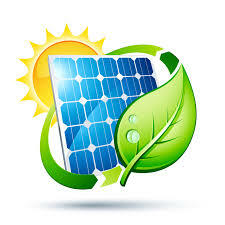 The solar energy sector now employs more people than the coal energy sector. 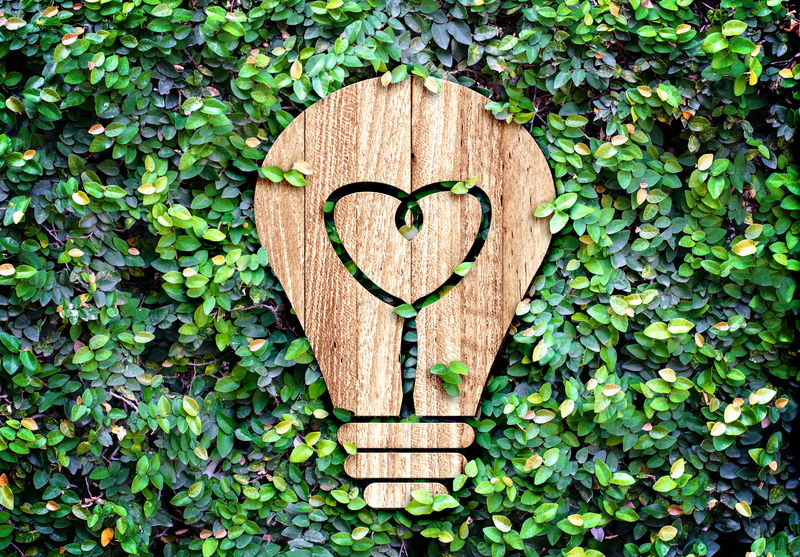 Cost reductions of technology and project development, ever increasing energy demands, and a groundswell of low-carbon energy demand are factors driving solar energy development. 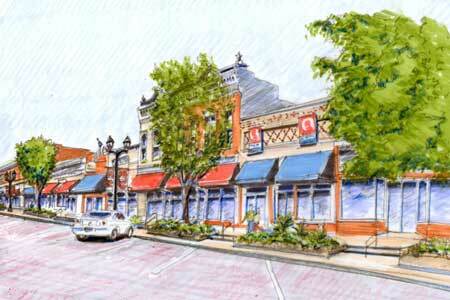 Local governments are on the frontlines of project development siting and permitting. 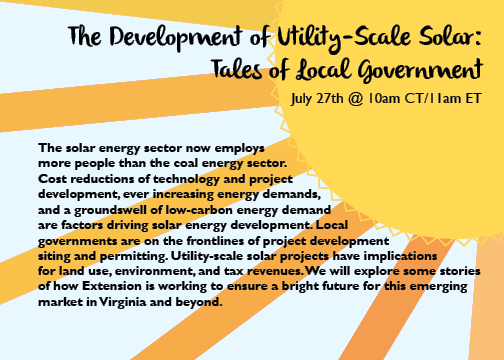 Utility-scale solar projects have implications for land use, environment, and tax revenues. 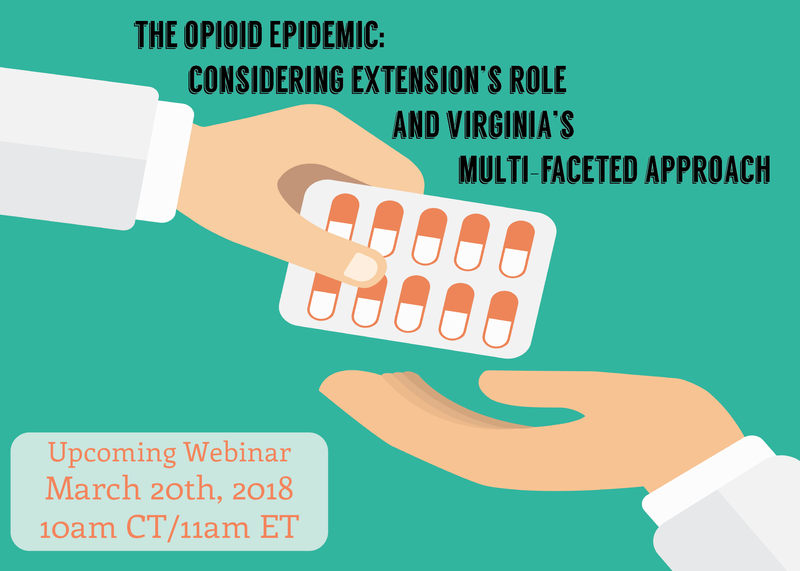 We will explore some stories of how Extension is working to ensure a bright future for this emerging market in Virginia and beyond. 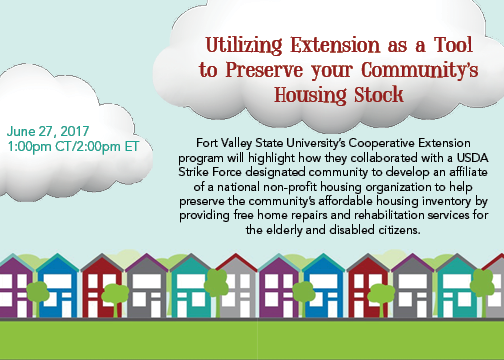 Fort Valley State University’s Cooperative Extension program will highlight how they collaborated with a USDA Strike Force designated community to develop an affiliate of a national non-profit housing organization to help preserve the community’s affordable housing inventory by providing free home repairs and rehabilitation services for the elderly and disabled citizens. CEDIK First Impressions program, CEDIK Community and Business Retention Program, KSBDC (Kentucky Small Business Development Center) Small Town Merchant Program, KSBDC and CEDIK GrowKY Program, Youth Engagement in Kentucky Downtowns, The creation of an 8-county Downtown network and mentoring program, Training on community foundation building and sustainability, Downtown marketing and communications using new broadband infrastructure, Community Design program – streetscape and walkability program. Many communities and regions have great vision and plans, but are unable to bring them to completion due to lack of funding or financing. 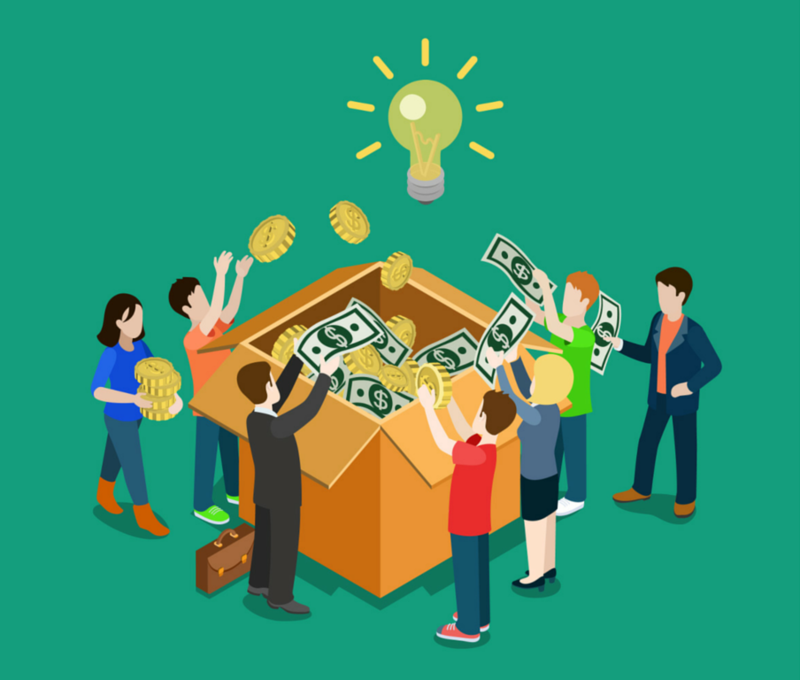 This webinar will present a comprehensive approach to funding and financing community and economic development in the 21st century, including 8 secrets to success, 12 major funding strategies, and exemplary case studies. 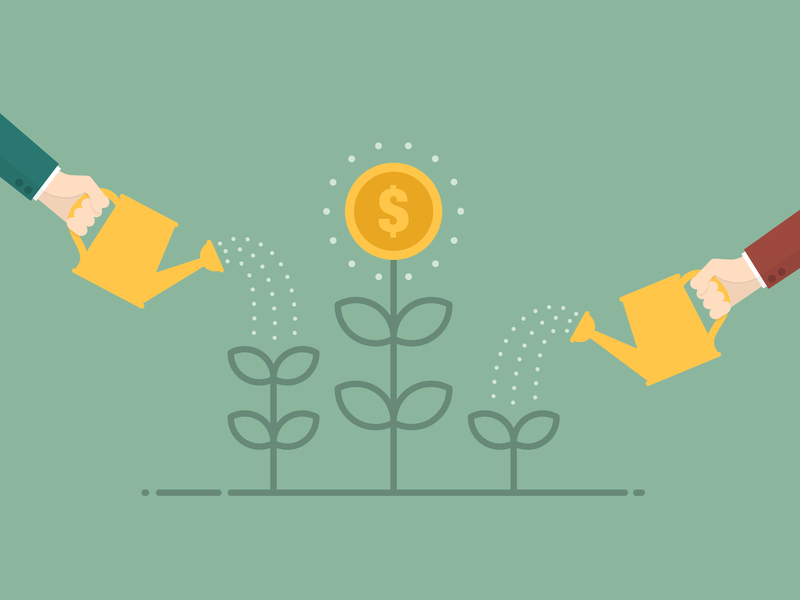 With Latinos making up an increasing share of the U.S. population, there is a growing need to understand the most important factors related to Latino-owned businesses in general and to their growth specifically. 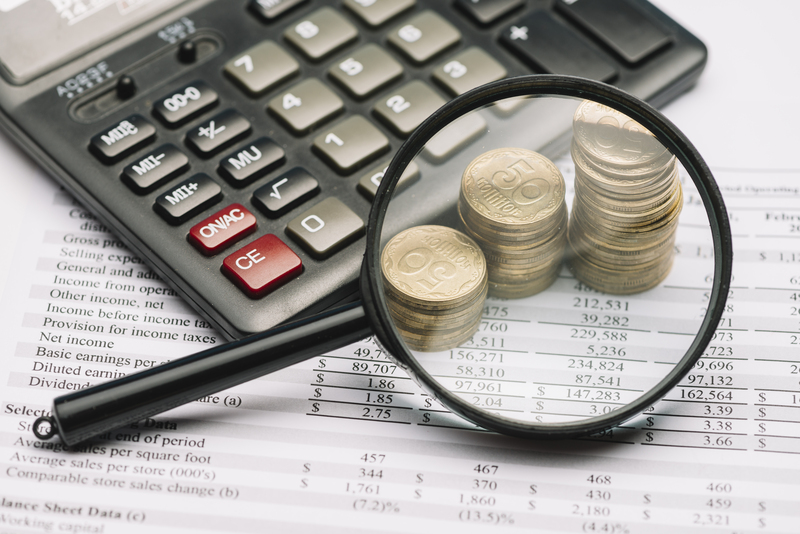 As such, new research takes advantage of the Texas Federal Statistical Research Data Center to investigate which business-owner, business, and regional factors are most associated with Latino-owned business relative to other ethnicities and how those factors impact employment growth. 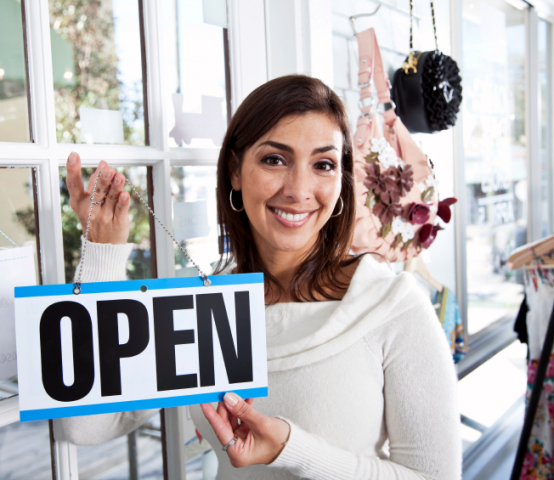 The results of this research have implications economic development programing as it relates to supporting Latino-owned business. We conclude with a discussion of how Extension might adapt to meet the needs of this growing audience. 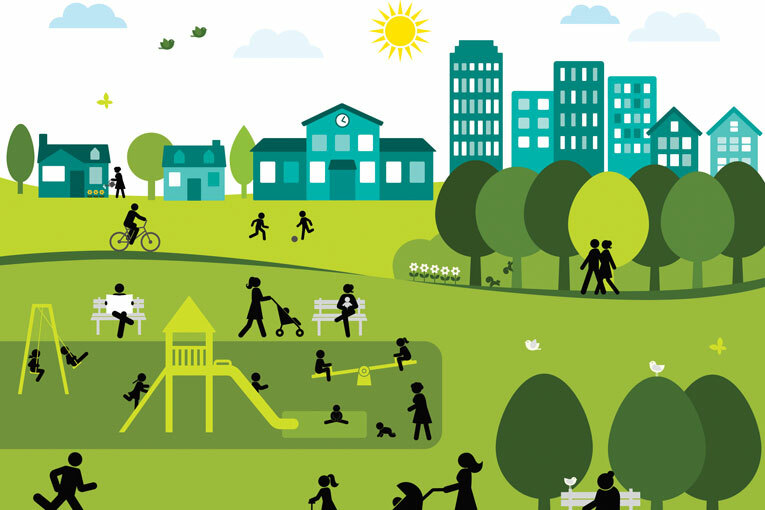 Community-centered design is a methodology that invites a community to imagine and build places that reflect what matters most to them – both as a community and as individuals. Often in Extension, we conduct assessments as a way to identify community needs and determine solutions for solving community problems. 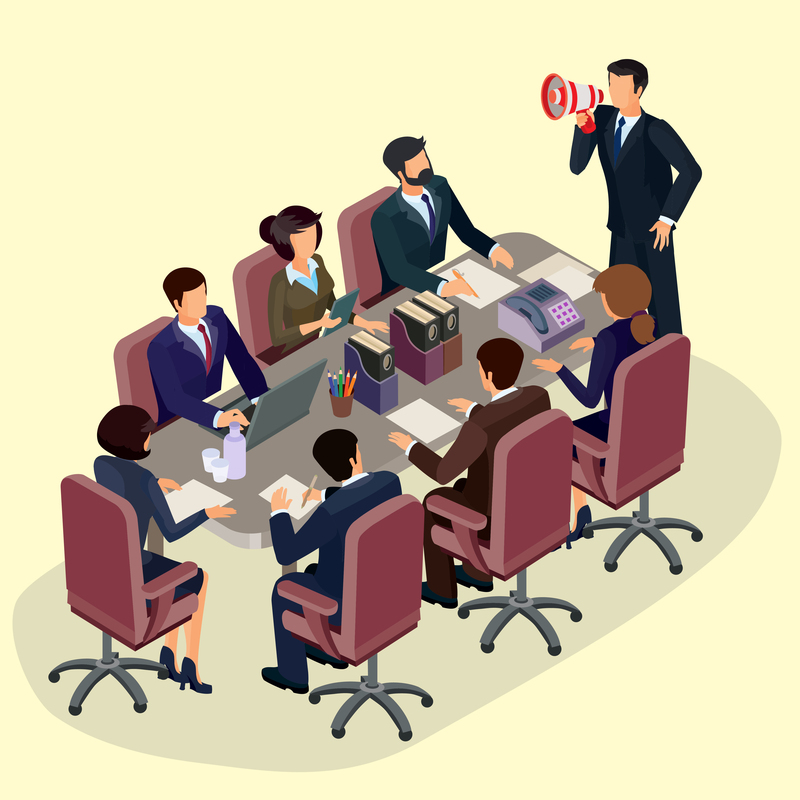 There are various methods to gather that local input and, at times, traditional methods for data collection are too time consuming and are not accessible to many people. 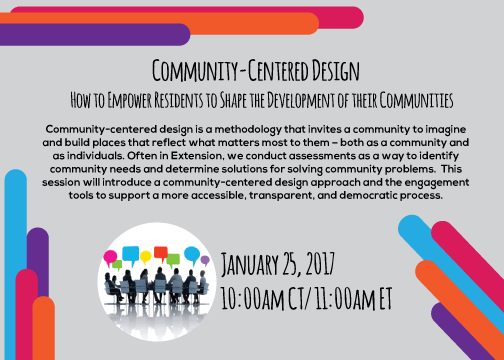 This session will introduce a community-centered design approach and the engagement tools to support a more accessible, transparent, and democratic process. 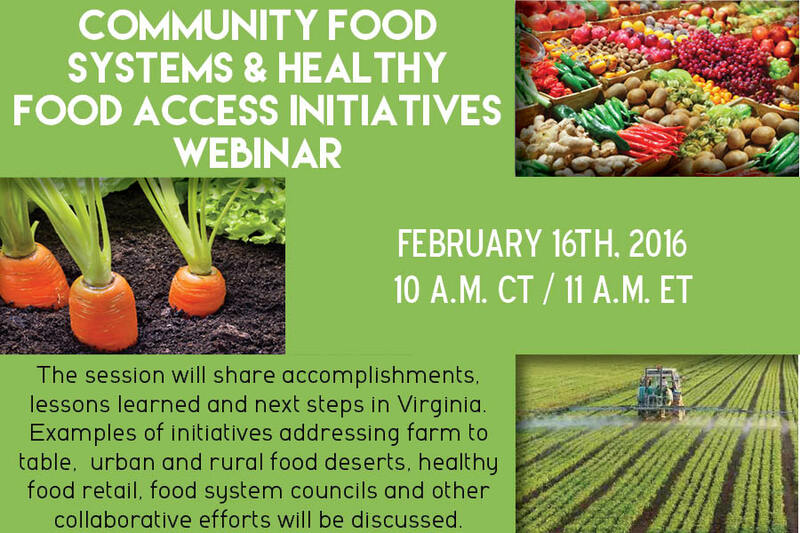 Session speakers include Mr. Dan Parham, Co-Founder, CEO of Neighborland and Dr. Michelle Eley, Community & Economic Development Specialist, The Cooperative Extension Program at NC A&T State University. 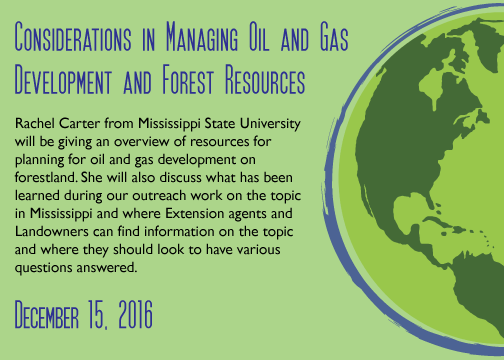 Rachel Carter of Mississippi State University will be giving an overview of resources for planning for oil and gas development on forestland. 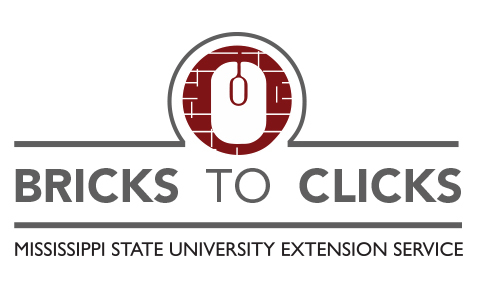 She will also discuss what has been learned during our outreach work on the topic in Mississippi and where Extension agents and Landowners can find information on the topic and where they should look to have various questions answered. 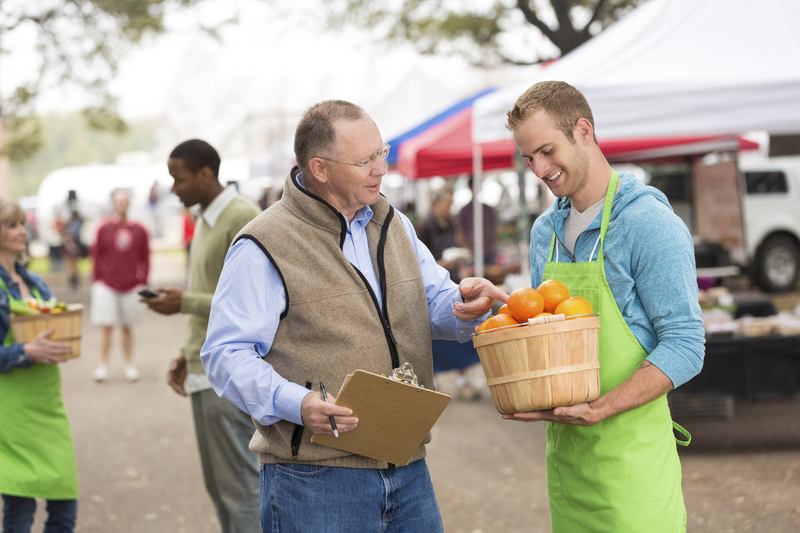 Often communities struggle with getting their citizenry involved in community betterment. 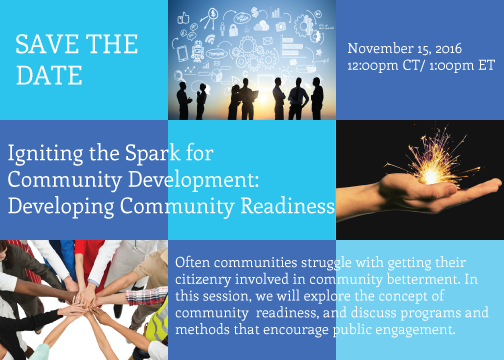 In this session, we will explore the concept of community readiness, and discuss programs and methods that encourage public engagement. 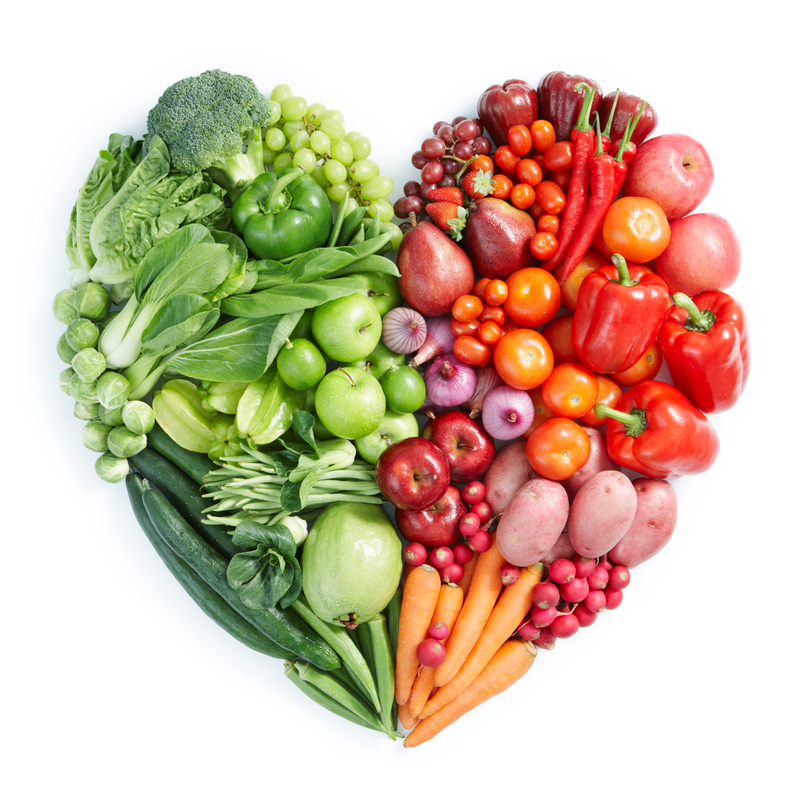 The South has seen significant activity around local and regional foods systems in the recent months. As a result, a team of Extension and research professionals have come together to create a process for connecting these efforts and growing the work across states and disciplines. 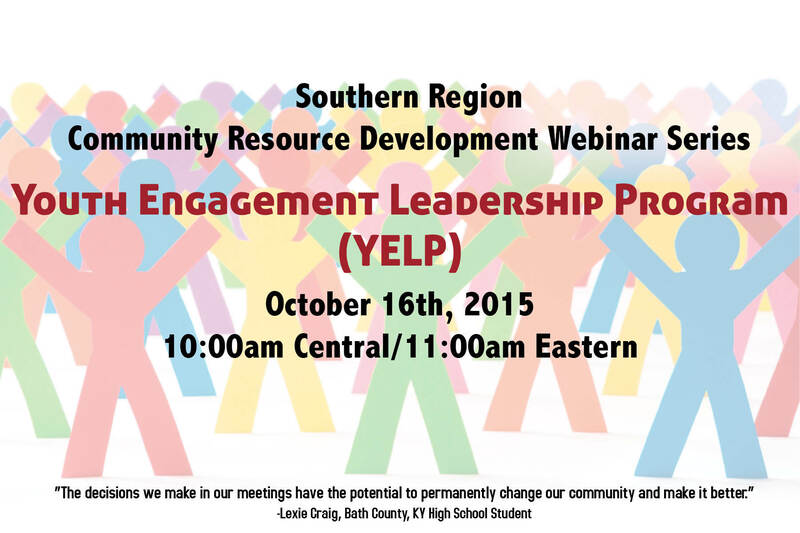 Come see what is planned and learn how you can be involved in the initiative. The digital age is upon us. 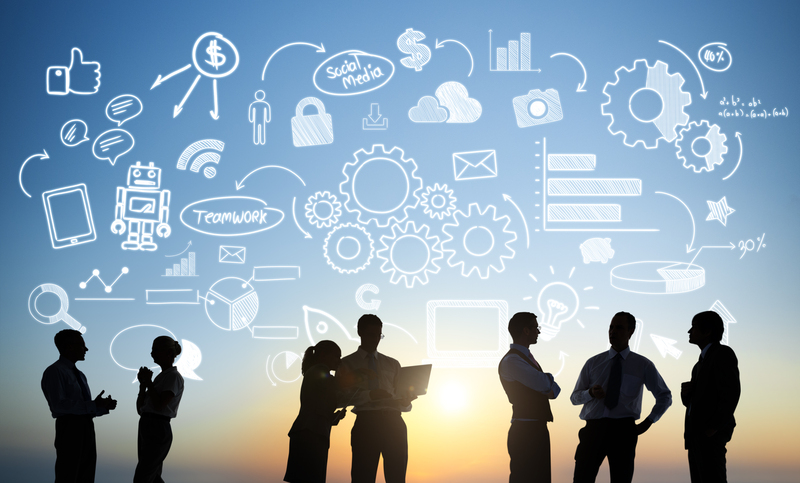 Its exponential, digital, combinatorial, and disruptive characteristics are ushering in revolutionary changes to our economic and social landscape. While serious privacy and security concerns abound, applications such as e-commerce, telehealth, telework, precision agriculture, and artificial intelligence have the potential to level the playing field between urban and rural communities. A four-step process in which the state Extension Service plays a critical role in helping rural communities transition to, plan for, and prosper in the digital age is showcased. The Innovative Dads Program uses local fathers from churches, who are trained by me and a local Pastor (Gerard Duncan) who is a building maintenance superintendent, to perform repairs to homes in underserved areas of Gainesville, FL. The fathers gain access to elderly residents’ homes in the area because they are trusted due to the Pastor's connections to the neighborhoods. Further, the fathers bring local youth into the homes to observe the upgrades so the youth can learn how to repair homes and also learn the trust and bond being created within their neighborhood by working in elderly folks' homes. This program aims to reduce the number of elderly residents who visit the emergency room due to accidental falls in the home and to reduce the number of youth who otherwise would be out on the local streets looking for something to do after school hours, which typically leads to negative behavior. 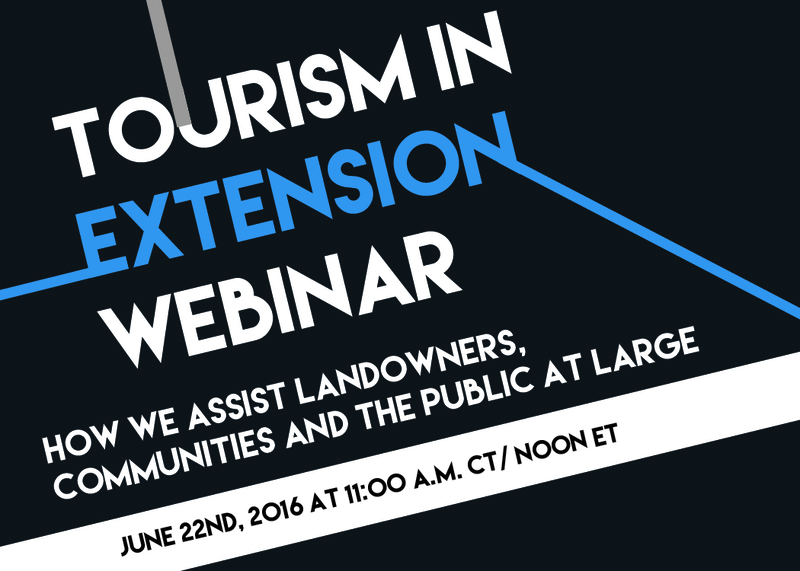 Miles Phillips and Stephen Brueggerhoff of Texas A&M AgriLife Extension will discuss their Extension work in Tourism. Follow the links below for a short video from both of them. 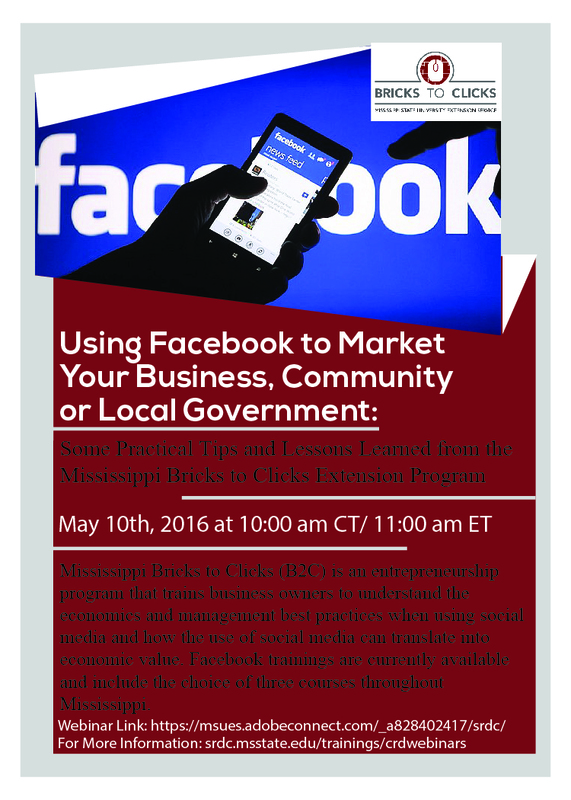 Marketing Mississippi’s Agriculture, Communities and Local Governments Using Facebook (1.5 hrs. ); This is an introductory course that provides an overview of the economics of using Facebook marketing. Participants will learn several best practices to improve their marketing efforts using Facebook. Marketing Your Business, Community or Local Government Using Facebook Using Facebook Organic Marketing Strategies (2.5 hrs. ); This is an advanced course that provides participants with an in-depth analysis of how a Facebook business page works including all settings, ideas for posting engaging content, and how branding of products and services offered can be achieved. 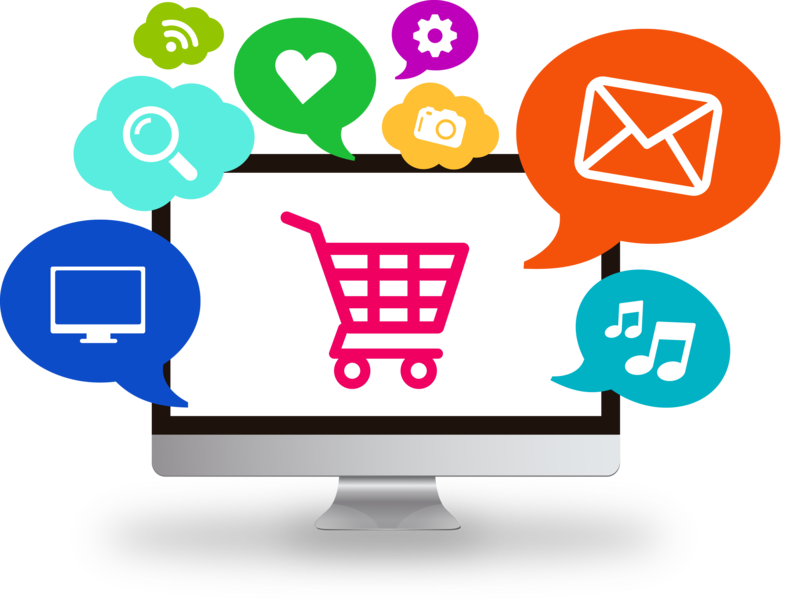 The goal of this course is to provide several examples of how to boost engagement on Facebook pages and therefore increase sales or civic engagement. 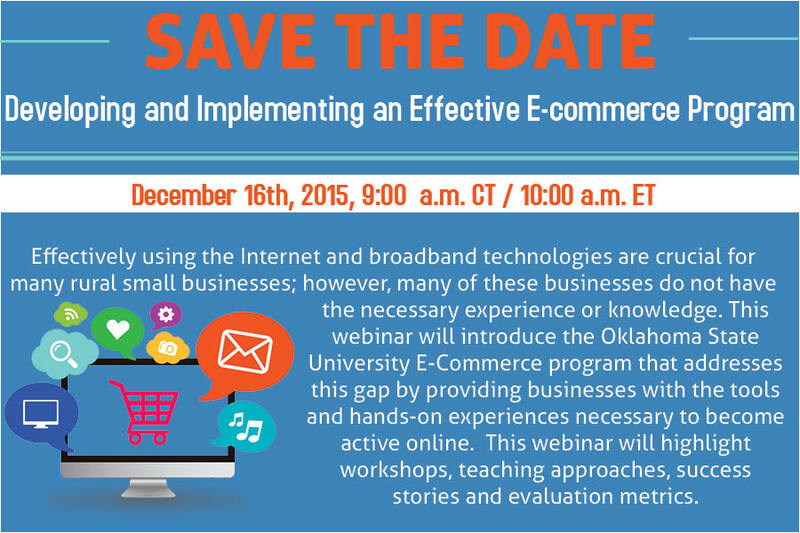 Participants will also learn how to correctly use Facebook contests to drive engagement, sales or civic engagement. Marketing Your Business, Community or Local Government Using Facebook Paid Ads (2.5 hrs.). This is an advance course that provides participants with hands-on experience in using many Facebook paid advertisements. Participants will be shown how to conduct Facebook targeted ads to increase the number of fans and engagement among fans. Several best practices for developing highly effective ads are shared from research conducted to date with Mississippi businesses and communities. 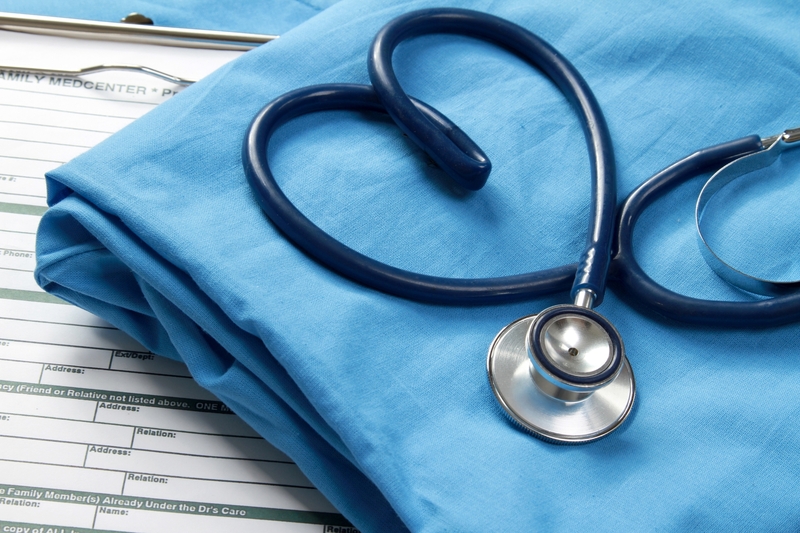 The Farmworkers Health and Safety Comprehensive Program is expanding Extension’s (NCCE) partnership with farmers by offering on-farm health and safety training for farmworkers. By building on the strength and trust of local agents, this program is partnering with farmers to improve access to training for their workers. 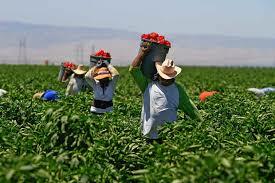 Additionally it is expanding our in-reach and engagement with this critical, yet non-traditional Extension audience, N.C. farmworkers. The program currently works in the Eastern NC row crops and in the Western NC Christmas tree industry. This material is based upon work supported by the National Institute of Food and Agriculture, U.S. Department of Agriculture.